Hydragae is a native flower in Asian Country Particularly in China, Japan and Korea. Most of its shrubs grows 2-3 meters tall but other species reach up to 30 Meters high. Hydragae also was introduce to Portugal and Spain and now it is very common flowers in that country. 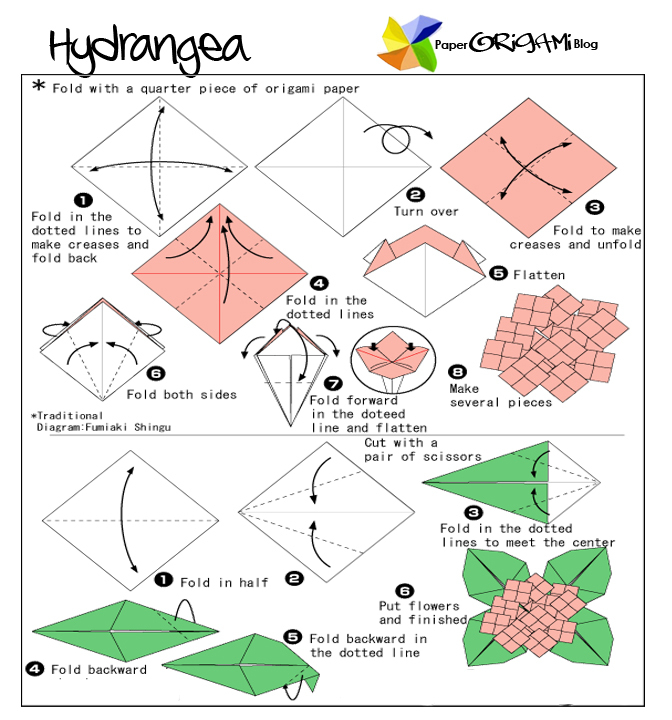 In Origami it has play a very important role especially for beginners in Origami.